La Crosse Weather Stations are very popular and inexpensive home weather instruments. The range of La Crosse products available today is second to none and has made weather station technology available to the home weather enthusiast like never before. LaCrosse pride themselves in innovation & have been leaders in this field for many years. 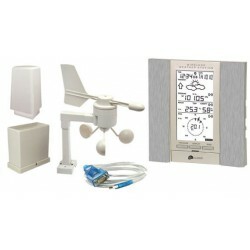 WS2355S La Crosse Wireless Weather Station USB SilverA Fantastic Gift Idea ! !The La Crosse WS23..
WS1516IT La Crosse Wireless Weather StationGreat Christmas Idea ! !The La Crosse WS-1516IT with&.. The LaCrosse WS1913 Weather Station DiscontinuedLa Crosse with Wind - Forecast with tendency -..